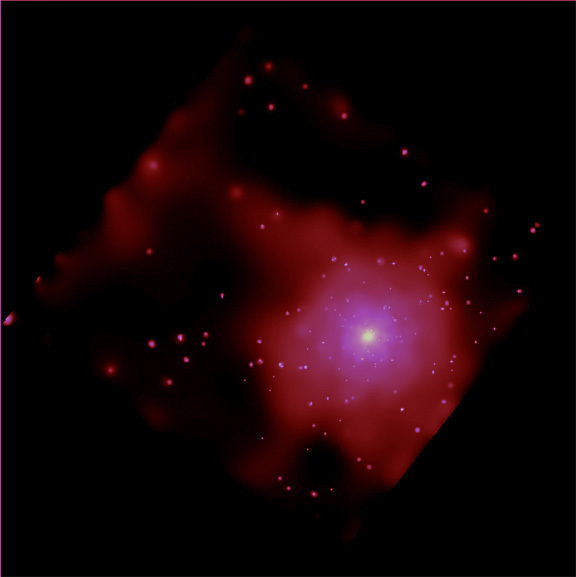 Chandra's image of the elliptical galaxy NGC 4649 reveals a large, bright cloud of hot gas and 165 point-like sources. 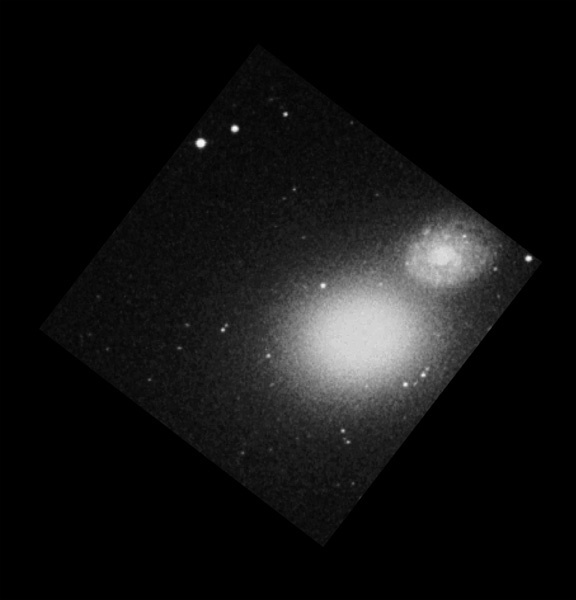 As in the elliptical galaxies, NGC 4697 and NGC 1553, most of the point-like sources are due to black holes and neutron stars in binary star systems. Many of the X-ray binaries are in "globular star clusters," round balls of stars that contain about one million stars in a volume where typically only one would be found. This suggests that the extraordinarily dense environment of globular clusters may be a good place for black holes or neutron stars to capture a companion star. The hot gas cloud filling the galaxy has a temperature of about 10 million degrees Celsius. In the bright central region there appear to be bright fingers of X-ray emission which could be due to rising cells of hot gas. Scale Image is 8 arcmin on a side. Coordinates (J2000) RA 12h 43m 40.3s | Dec +11° 32' 58"